Toronto This man wants to build a cable car in the Don Valley. Can he sell it? This man wants to build a cable car in the Don Valley. Can he sell it? You walk to the end of the Danforth, reach the edge of the Don Valley, and take off into the air. A cable car lofts you over the Don Valley Parkway, over the Don River itself, and deposits you – less than five minutes later – on the floor of the valley at Evergreen Brick Works. 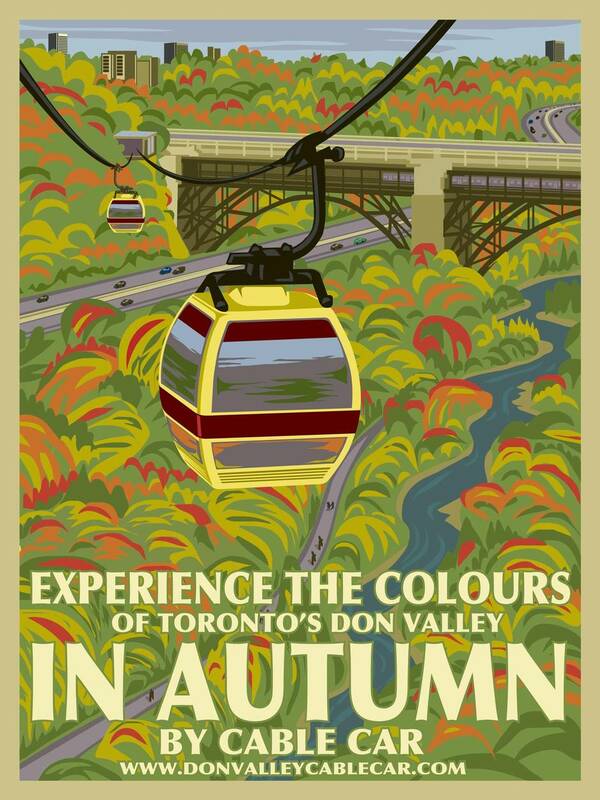 This is the promise of the Don Valley Cable Car, a proposal from a Canadian-Swiss company that’s being unveiled Saturday. It could bring more visitors to one of Toronto’s most undervalued cultural assets – the Brick Works – and also become a tourist attraction in its own right. If it ever materializes, that is. First, its champion, a Torontonian named Steven Dale, has to convince the City and investors that he doesn’t have his head in the clouds. “The first thing we hear about this is, ‘Is this a crazy idea?’ And in fact, it’s not a crazy idea,” Mr. Dale says. His proposal indeed makes sense as city-building and as an attraction. Mr. Dale is the CEO of Bullwheel International Cable Car Corp., and its proposal is for a gondola – a set of cars travelling on aerial cables, not much different from a ski lift. Such systems can span the topography of the Don Valley easily; his suggestion is that they can also span the perceived distance between familiar ground in the city, at Danforth and Broadview, and the Brick Works. 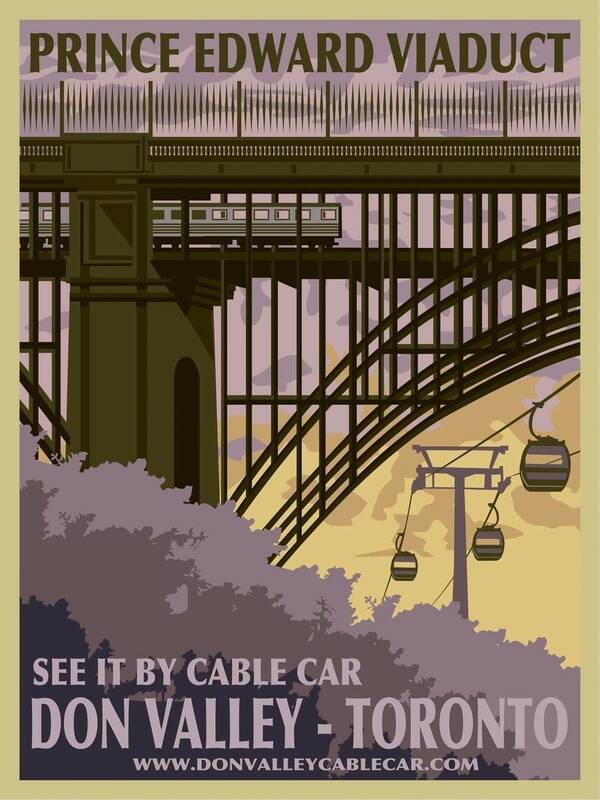 The cable-based transit system was quick, quiet and able to carry riders up a 2,000-metre mountain in a single bound. Looking at it with his urban-planner’s perspective, he began to wonder about it in urban settings. “No one within the planning community really knew anything about the technology,” he says. At least not in North America, where the technology has been marginal in cities. But it exists here: New York has had the Roosevelt Island Tramway since the 1970s, and Portland, Ore., opened a tramway in 2006. There are several cable transit systems in Latin America, most prominently the Metrocable in Medellin, Colombia, which is part of the city’s transit system and carries 30,000 people a day. Manissa Patel, the director of Evergreen Brick Works, says its is on-board with the project, which would have a station in the centre’s parking lot. “If the business model is sound, it would be a way for people to see an amazing part of the city,” she says. You don’t actually have to drive to the place; in fact, the TTC sends a bus there on weekends, and the Brick Works runs a small shuttle bus from Broadview subway station during daylight hours. But it is very difficult to walk or bike there unless you are coming from Rosedale or Moore Park, just up the hill. Most visitors to the site, up to 3,000 on a busy weekend, do in fact arrive by car. Mr. Dale estimates the Don Valley Cable Car would have somewhere between 220,000 riders a year and, optimistically, as high as 515,000. 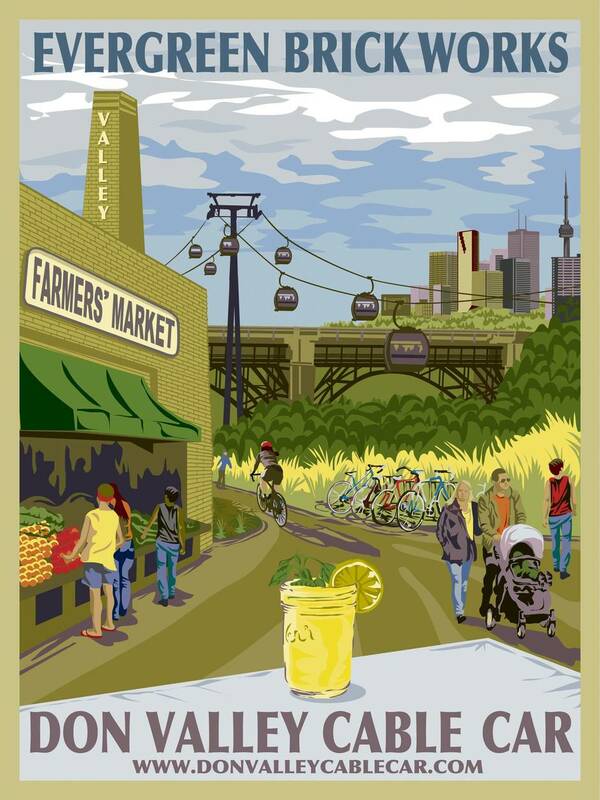 These would include the 100-plus people who work at the Brick Works; some would be tourists; some would be locals heading to the Brick Works or to the network of parks and trails in the valley, with bigger crowds during special events such as the Taste of the Danforth. When we met downtown recently, Mr. Dale was dressed in a sober suit for meetings with potential investors. He is pitching the idea not as public transit but as a privately owned, financed and operated system that would be funded through the fare box. It would require six towers, which would sit on City-owned land in the valley, and a station at either end; Dale estimates the capital cost at $20-million to $25-million, and pegs the average round-trip fare at $10, although less for locals and those with an annual pass. It would have 42 cars, each holding about eight people; with the cars spaced out evenly, one would depart about every 30 seconds. Outside of rush hour, the system would run at a slower pace for a more leisurely experience. In person, Mr. Dale is buttoned-down, but there are moments when it becomes clear he’s passionate about his product. He has been selling this technology for nearly a decade; he has done rounds of media interviews pitching gondolas as public transit here, and elsewhere in North America. His company is working as consultants on a proposal to use gondolas in place of transit in San Diego; but a project here – fashioned more as a civic landmark – would be the first big win. But why should Torontonians get on-board?